Though Kashmir has always been an integral part of India as any of its other territories, the state has always been inextricably linked with our country’s foreign policy on account of the unwanted presence of an extraneous factor – Pakistan. In an ironical turn of events in the history of Indian subcontinent, Pakistan, which had steadfastly refused political equality to the people of its own Eastern Wing, and subjected them to one of the most horrid military onslaughts in history that resulted in the birth of Bangladesh, albeit with the active assistance and support of India, has been harping for the “independence” of Kashmir. Bitter wars have been fought by India and Pakistan over Kashmir. Colossal amounts of money have been spent on financing these wars, setting the economies of both the countries back by several decades. While enormous amounts have been spent by both the sides on oiling the war machine, other losses in terms of human lives have been incalculable. Furthermore, rancor runs so deep between the two countries that bilateral relations have been irreparably damaged. To make matters worse, Pakistan has been waging a proxy war against India in the absence of a full-fledged war, apparently in the hope of keeping up the sagging morale of their civilian population that started despairing long ago over their government’s failed policy of “liberating” Kashmir from India. Notwithstanding the fact that Pakistan had captured parts of Kashmir by military might and deception immediately after partition of the united India in 1947 and installed a puppet government in the Pakistan-occupied- Kashmir, the authorities of Pakistan have realized the futility of their foolish endeavor to wrest the rest of Kashmir; but find it impossible to let go of their pet obsession for Kashmir which forms the keystone of their foreign policy. If ever they give up their claim for Kashmir, they would have to shift focus to the economic and social development of their own people. This indeed would be a formidable, nay, impossible task for a country which has unsuccessfully experimented with democracy, off and on, during the course of its six decades of independence. Even when it had been possible to hold elections and a democratic government was put in place, all the time it was the army that was in real control of the levers of power in Pakistan. In short, because of a political atmosphere controlled by an unholy nexus between the Army, ISI and corrupt politicians, democracy could never take deep roots in Pakistan. 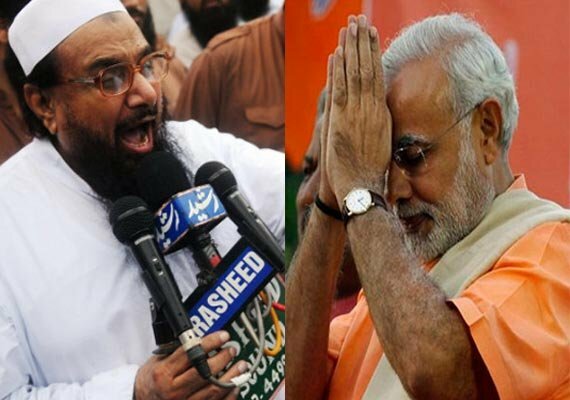 In fact, having become a level playing field for the Taliban, Al Qaeda, and a host of terrorist organizations of all shades and hues, and a convenient place of refuge for terrorists like Hafiz Sayeed, Dawood Ibrahim and others, wanted by the Government of India, Pakistan has proved to be an ideal launching pad for terrorist activities against India. Propped up by the US with vast quantities of economic and military aid to enable its ally to play a major role in the global war against terrorism, Pakistan has diverted and subsumed all the assistance in furthering its military might at the cost of its social and economic development. Caught in the crossfire between the subversive and seditious activities of various terrorist groups and self-defeating policy of an all-powerful military and ubiquitous intelligence agency, Pakistan is today a failed state, a rogue one at that. The bleatings of Pakistan, with feet of clay, laying claim in international fora over Kashmir had never sounded more hollow, than now. Internally, in a political atmosphere that can only be described as a sham, policies of the State have always been the prerogative of the ruling clique, with the people of Pakistan having no say whatever in the matter. Not to make too fine a point, it would be presumptuous to believe that an average Pakistani citizen who is an unwary victim of the despicable political and security situation in his own country, would ever care as to whether Kashmir continued to remain a part of India, became a free country or became a part of Pakistan any more than which morally or ethically corrupt political dispensation ruled his country. 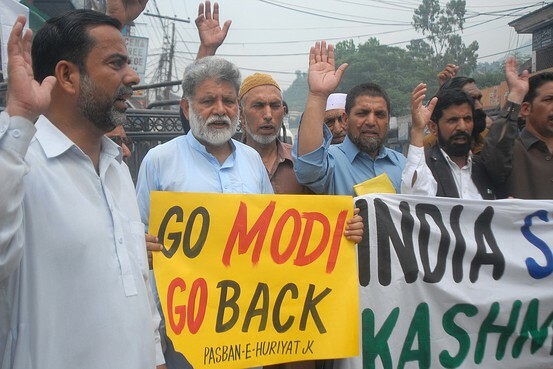 Much to the discomfiture of Pakistan, the people of Kashmir enjoy political freedom to decide their own political destiny in local elections as well as elections to the state legislature and the nation’s parliament, just as the people of any other state of India. This has vindicated India’s stand in the eyes of the international community that Kashmir is truly an integral part of the country not merely because India says so, but because of the ground realities obtaining in Kashmir. To understand the gameplan or policy perspective of the current government in Delhi on the Kashmir issue, it would be necessary to appreciate the basic difference between the Narendra Modi government and that of his predecessor. The policy paralysis which had afflicted the Manmohan Singh government during its second stint (2009-14) had permeated India’s foreign policy. This had inevitably led to a stalemate in the settlement of the Kashmir issue. The UPA government’s Janus-faced stance mentioned below is a case in point. We had been telling Pakistan and the rest of the world that Kashmir is an integral part of India. And rightly so. But, what had we been telling the people of India, including those of Kashmir? That notwithstanding the fact that Kashmir was an integral part of India, it enjoyed a special status in terms of a separate Constitution it had, distinctly different from that of India. Now the question is why should there be a separate Constitution that gives Kashmir a special status different from the rest of India of which it has been an integral part? Circumstances leading to this anomalous situation date back to 1947, when India was partitioned and it constitutes a well-documented fact of history. After over 60 years of independence, the question which begged an answer was whether this was a permanent arrangement; if not, why hadn’t the situation been reviewed? Was India ever going to do it? What had been preventing the people of Kashmir from integrating with the mainstream India with their special status thrown overboard? Neither the Manmohan Singh government nor the ones preceding it ever had an answer. It would not be too uncharitable to point out that the powers in Delhi simply lacked the gumption or political nerve to address the issue and had kept it in cold storage! Notwithstanding its political will, the NDA government led by Atal Bihari Vajpayee was, on its part, not in a position to address the issue due to lack of a solid majority in the Parliament; it did, however, try its best to bring Pakistan around to the negotiating table without any success. ● With its very existence hanging precariously in peril, it is far from likely that the Nawaz Sharif government in Pakistan would address the Kashmir issue for a meaningful and realistic resolution. That Pakistan’s house is not in order, and therefore, renders that country incapable of taking the initiative is to India’s advantage. This should, however, not be allowed to degenerate or dissipate by having discordant notes from different sources within India. All political parties should have a consensus, the bottom line of which should be “Kashmir is an integral part of India and its territorial integrity is not subject to compromise”. The consensus should be declared India’s national policy, binding on all individuals, parties and movements and legally enforceable. ● Kashmir is a bilateral issue which is to be settled between India and Pakistan, without the involvement of any other country, or extraneous agency from either country. ● Individuals, political parties or movements in India seeking separation of Kashmir in clear violation of the government’s policy on Kashmir, should be imprisoned on charges of sedition, and disqualified from participating in any further political activity. ● To this end, an immediate review of Kashmir’s place in India’s political system, its Constitution and the special status accorded by the country’s Constitution should be undertaken. This would evidently cause much chagrin among certain sections of people or groups in Kashmir. Necessary constitutional amendments and laws should be introduced. Only by having such a firm and irrevocable policy can India hope to have an unassailable position at talks with Pakistan. A divided house would weaken India’s position. Understandably, BJP has not yet placed the question of repealing Article 370 of the Constitution that vests Kashmir with a special status on the top of its political agenda. It should, however, be taken up sooner rather than later. The contentious Article has not helped the people of Jammu & Kashmir in any way. It has only helped the mealy-mouthed wastrels with a feudal mindset among the politicians in the state to strengthen their stranglehold over the governance of the state. J&K has regretfully remained a backward and corrupt State, with no economic development and a high incidence of unemployment. Cut off from mainstream India, thanks to Article 370, the state has become a hotbed of terrorist activities. Fight against terrorism in the state has been made more complicated, with the obtrusive Pakistan generously exporting terrorism. The state has witnessed a lot of violence and bloodshed besides an exodus of an estimated 700,000 Kashmiri Pandits. With the introduction of a new government, with BJP as an alliance partner, the stifling political backwardness of the state may be expected to be on the wane. The regional political parties in the state such as the National Conference (NC) and the People’s Democratic Party (PDP) and major opposition parties in the country are vehemently against repeal of the Article because of vested interests. Their argument is that the Article is the only constitutional link between J&K and the rest of India; therefore, if the Article were repealed, J&K would no more be a part of India. People of the state should realize that this line of argument is fallacious and cannot be sustained. The state is at a crossroads. Winds of change have been blowing all over India, heralding better times for the Indian economy. People of J&K should wake up to the new reality, shun their self-serving politicians and latch on to the new resurgent India so as not to get further left behind in India’s march to progress and prosperity. It is high time they realized that fibbing over legal and technical aspects of an Article of the Indian Constitution, which had, in any case, been created on a very temporary basis and has outlived its purpose, will be an exercise in futility. Now, it is imperative for the BJP to win the hearts of the people of the state and capture their imagination. This would become feasible by ensuring good government and clean administration not only in the state but in the entire country. For starters, it should expose the separatist leaders in the state for the men of straw they really are. For undertaking the political exercise delineated above, a steely vision and iron will are required. Today, Narendra Modi is the only Indian leader who has the popular mandate and political sagacity to rise up to the occasion and unravel the Kashmir imbroglio. 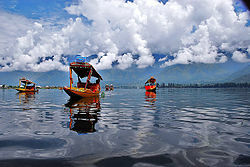 Only after this seemingly improbable mission is achieved, would Kashmir emerge as a truly integral part of India in all senses of the term, safe from the grubby hands of the avaricious neighbor, Pakistan. This entry was posted in blog on July 14, 2015 by admin. The truth is that Kashmir is an integral part of India and this cannot be denied. Even the population of kashmir wants to be in Indian fold but are forced to support terrorism due to pressure and treat from pakistan. Keeping the Kashmir issue aside and start business relationship with Pakistan and make them economically dependent will be the right strategy. Meanwhile we should keep on strengthening our power in the world so that no one can oppose us easily. Mr. Modi is more or less on the same line. To balance the population in the Kashmir MLA’s constituency should be redefined. The first thing if BJP wants to do something for people of J&K is they should end the coalition with PDP and force state into new elections so that strong government can be formed. Why cant central government use its power to impose emergency in the state and then deal with anti-nationalist parties and individuals. Hurriyat and Syed have no place in India and Kashmir. This is just one side boss. What about AFSPA in the state that is encouraging army to kill anybody in kashmir whether or not that person is linked to terrorism or not. First stop AFSPA. Wasn’t Nehru at fault when he granted such freedom to jammu and kasmir. And after that all parties have feared to revoke this article. I believe only BJP and Modi can do something for kasmir now. PM of India should now give more time to domestic politics and turnarounds. In Kashmir there is issue with development, excessive and oppressive army and infilteration. This has to be checked. If there is any political party which understands politics of J&K then it is National Conference they must come to power again in majority. Talking of repealing article 370 is insane. Uniform Civil Code is listed in constitution of India and SC has many a time asked governments to make provisions, similarly there is no place for special status for any province. Gone are those days of favourism. We should be satisfied that after Shri Vajpayee we have Mr Modi who is fortifying relations with pakistan even when they are not ready to talk peace on Kashmir. On one hand Indian government gives scholarship to kashmir youth and on the other they kill them in the name of counter terrorism. Fake approach will never succeed and Kashmir will never go to India. Just when I thought I would like an early night. This is a very good tip particularly to those fresh to the blog o sphere. Short but very accurate info Appreciate your sharing this one. A must read article. Hello! I know this is sort of off-topic but I had to ask. Does building a well-established blog such as yours take a lot of work? I am completely new to running a blog but I do write in my diary every day. I’d like to start a blog so I will be able to share my experience and feelings online. Please let me know if you have any kind of recommendations or tips for new aspiring bloggers. Thankyou! But, he betrayed this Merinews BJP slant towards the very end; Today, Narendra Modi is the only Indian leader who has the popular mandate and political sagacity to rise up to the occasion and unravel the Kashmir imbroglio. Unravel what?